Looking for tire sales and service in San Juan Capistrano, CA? Capistrano Ford offers a large selection of tire services in Capistrano including new tires, tire repair, wheel alignment, balancing and tire rotation. 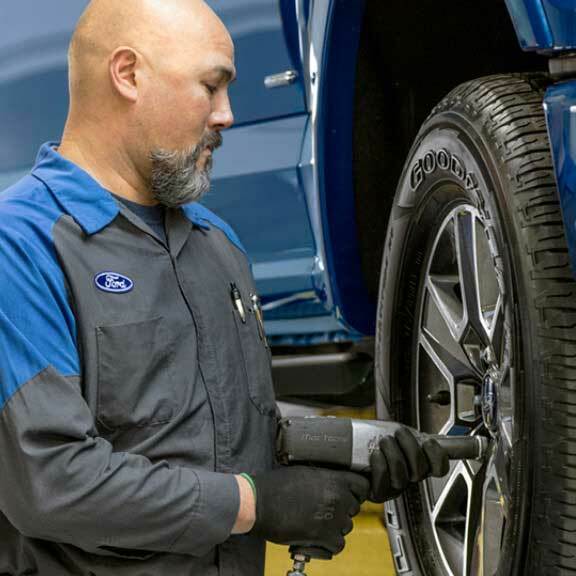 If your Ford vehicle requires new tires or maintenance, our associates can help restore or replace your tires. Capistrano Ford offers a large selection of tires for sale in San Juan Capistrano from the most popular brands at affordable prices. Our expert tire technicians make sure that your new tires are the perfect match to your vehicle and driving needs, whether you have a car, truck or SUV. When tires are worn out, they are more likely to puncture, hydroplane, leak air and blow out due to heat build-up, in addition to increasing stopping distances and compromising your vehicle’s handling. Contact us for affordable tire service in San Juan Capistrano, CA.